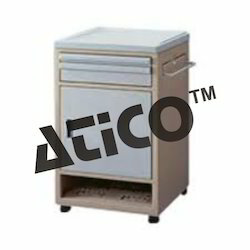 Providing you the best range of bedside locker std. 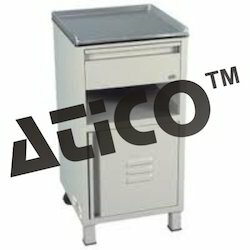 hospital model, bedside cabinet...abs, bedside cabinet - abs, abs top bedside cabinet, medical equipments and bedside locker - deluxe with effective & timely delivery. 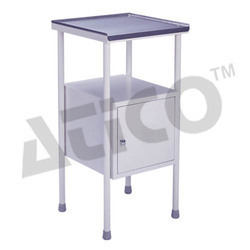 Overall size : 40L x 40W x 82H cms. Machine pressed sheet box with door of heavy guage. Assembled to CRC tubular legs of 2.5 cms. dia. fitted with PVC stumps. Stainless steel polished top of 22G. 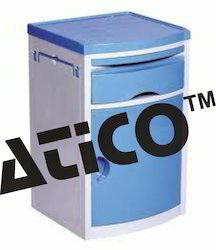 ABS Bedside Cabinet,attractive Blue color. Size: 480 × 470 × 755 mm. 1 drawer and 1 storage cabinet. Hidden pull-out tray for cups & articles. 2 towel holders (one on each side). 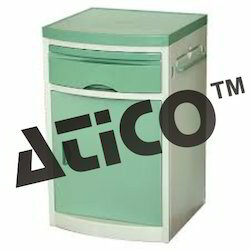 ABS Bedside Cabinet, Green color. Size: 475 × 470 × 755 mm. Size: 475 × 470 × 880 mm. Shelf at the bottom for keeping shoes etc. 1 towel holders (one on each side). Size: 475 × 395 × 770 mm. ABS top and stainless steel bottom. Remaining frame work made of epoxy coated mild steel. Size: 490 × 400 × 755 mm. Frame work made of epoxy coated mild steel. With 1 drawer and 1 storage cabinet. Complete locker box made of 22G CRC machine pressed sheet closed from three sides and a suitable drawer for extra storage. Stainless steel top of 22G in matt finish. 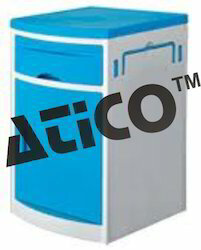 Complete locker mounted on two PVC Stumps in front and two 5 cms. dia castors at the back for easy moving. Looking for Hospital Lockers ?